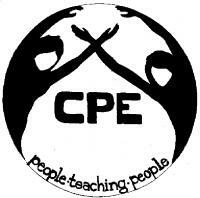 CPE was established in 1970 to provide an alternative to the traditional curriculum taught at FSU. Students wanted to explore socially relevant topics and to foster a healthier philosophy of education through classes in which anyone could teach or attend. Since then, CPE has been investigated by the Legislature, suspended by the Board of Regents, and challenged by FSU administration. CPE has managed to hold strong through all of this, and remains today as one of the last free universities in the country.